The Coastal Series Boat House Lift powered by the BH-USA A-Drives are designed to be mounted onto your boat house structure. The Coastal Series 4K and 8K All Aluminum Boat House Lift Kits Side Mount w/ Cradles comes standard with the BH-USA A-drive sealed aluminum gearbox providing the quietest and fastest performance available. 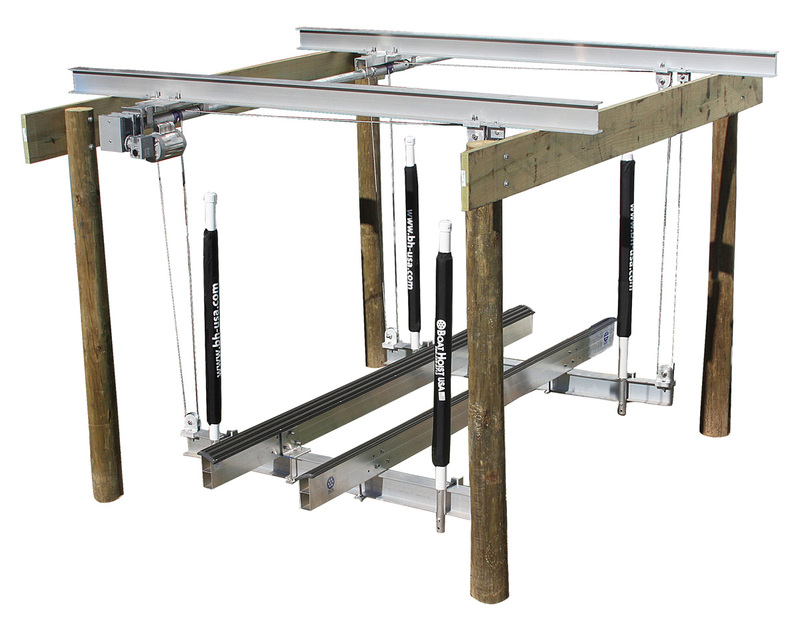 Fully adjustable design allows for top beams and lifter beams to be field cut for the perfect size and custom fit. All marine grade aluminum and stainless steel construction with extruded, no weld slide-on pulleys and dead-man brackets. 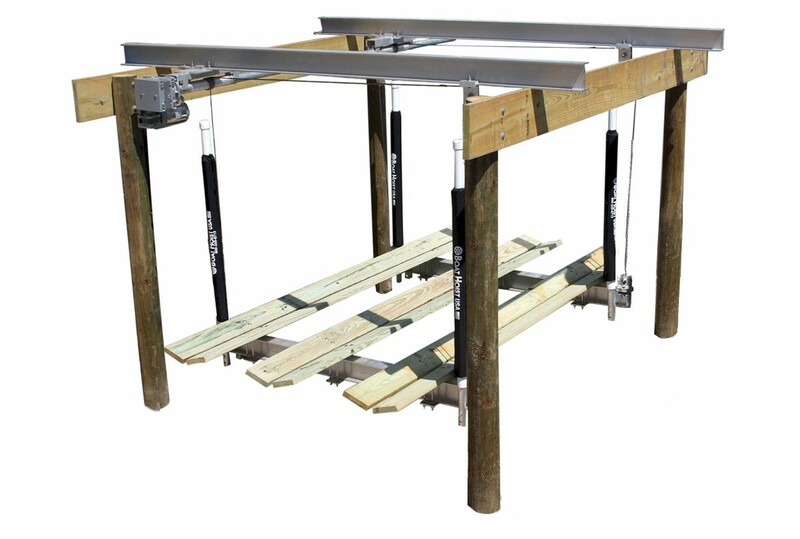 The Coastal series is the safest lift with a no weld cradle. Elite Motors stainless steel motors power the overhead lift. The motors are UL Listed. 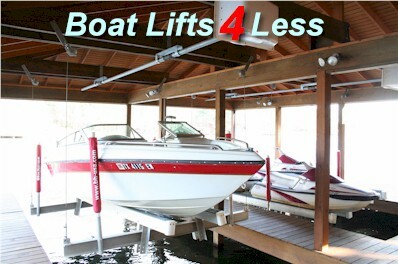 The elite stainless steel motors are the strongest stainless steel motors available for an overhead boat lifts. The aluminum cable winders helps extend the cable life. All moving parts feature grease fittings. 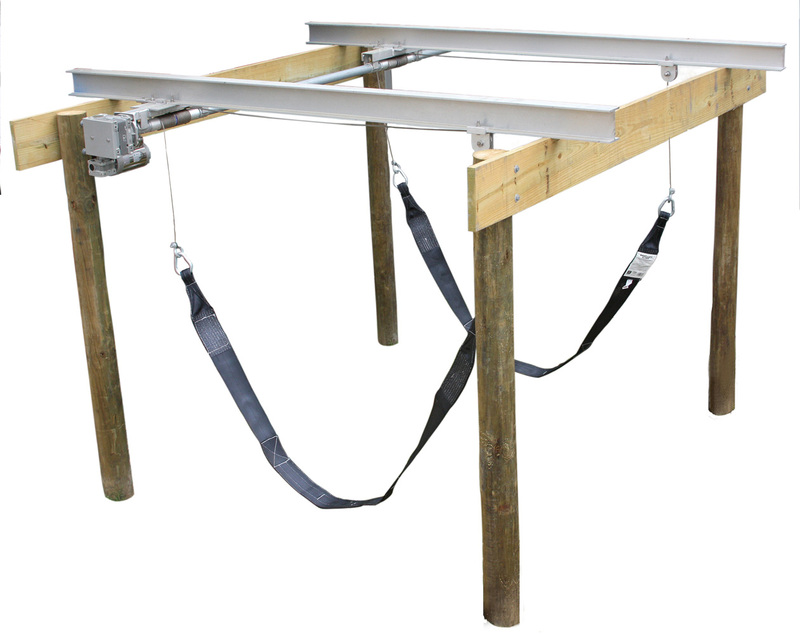 The Coastal series overhead lift comes standard with aluminum bunks and guide post bumpers! 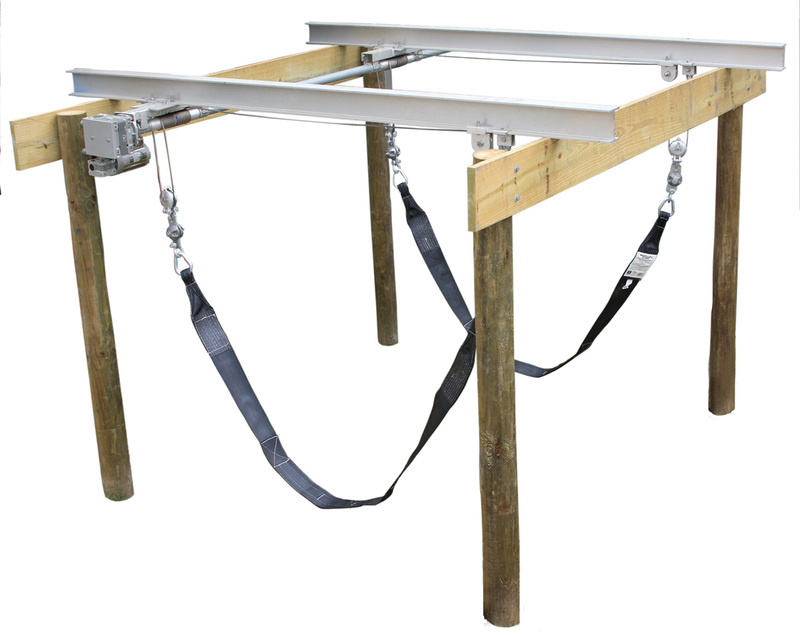 The lift has two options a weld free cradle or with boat slings. BH-USA has over 38 years experience in the boat lift industry. 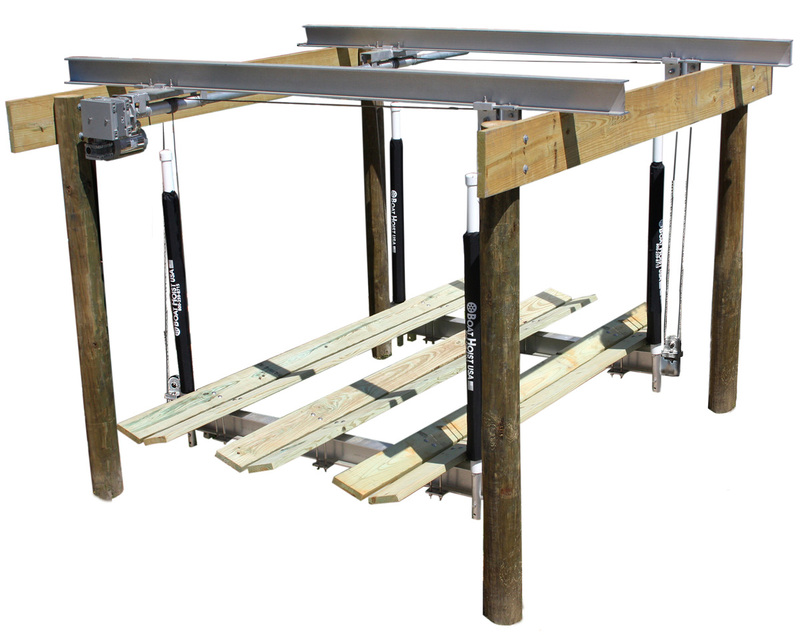 The Coastal Series overhead boat lift comes crated in a single crate (no loose pieces) and comes complete, ready to install. Boat House builders and DIYers love the simplicity and strength of the BH-USA overhead boat lift. Manufactured by BH-USA at their Longview, Texas, factory. Go here for installation instructions and see how easy these lifts are to install.